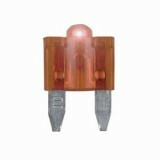 Mini / ATM Smart Glow Fuse is a standard indicating fuse that contains an innovative indicator light. The indicator light is within the fuse housing and glows when the fuse is blown, allowing for easy spotting. 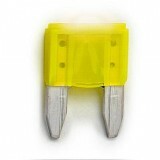 Mini / ATM Smart Glow fuses are available in 3 -30 amps and each amperage carries the standard color corrdination.